Heap Of Boletus Mushrooms Standing And Rotating On The On The Turntable. 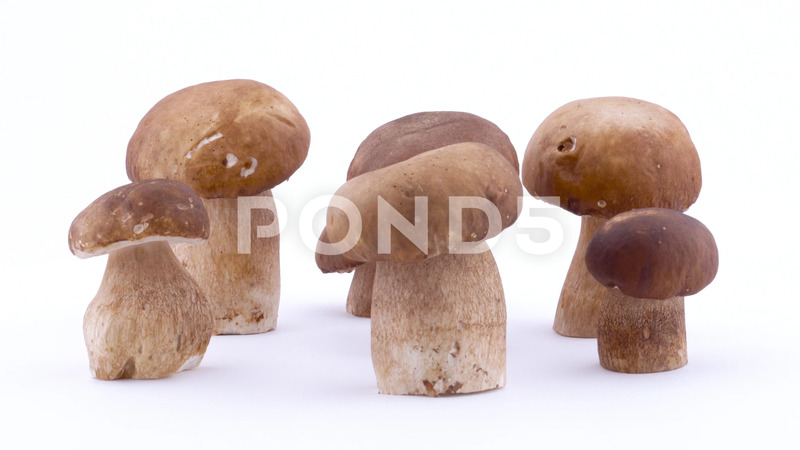 Description: Heap of boletus mushrooms standing and rotating on the on the turntable. Isolated on the white background. Closeup.